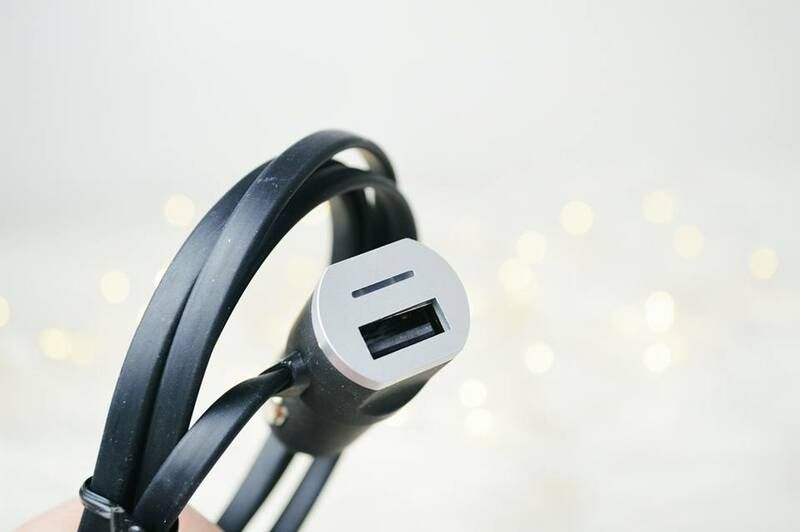 I'm so excited to be sharing you guys something which is a little bit different and something you wouldn't expect to see; of course, a car charger! 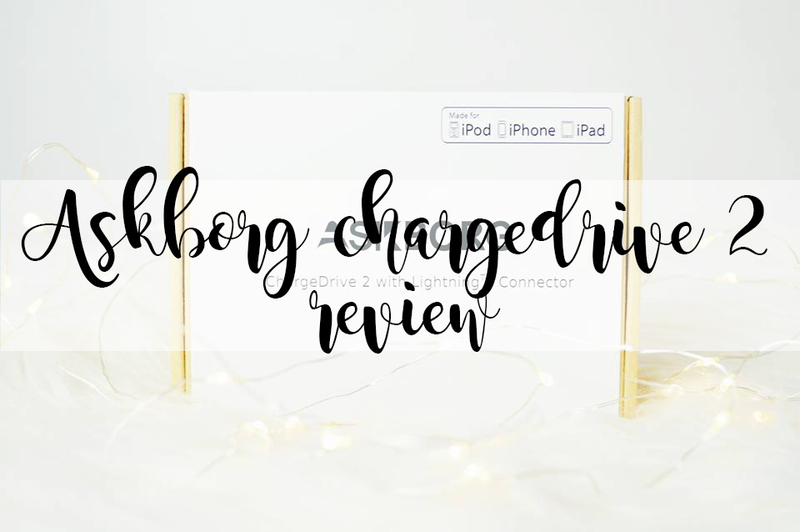 I was recently approached to review a couple of items from the company Askborg and I decided to choose a car charger. However, it isn't just a car charger. It's a car charger that has a built in cable for iphones, ipads, etc but it also has a USB port, for anything else that might possibly need charging whilst your in the car! The reason why I chose to review the car charger is because it's something which we all need in our life, if we're a driver. And being a driver myself, I use my car charger on a daily basis and I feel if you have a charger that does everything you need it to do, then you can't possibly go wrong. So this beauty is the Askborg Chargedrive 2 Lightning car charger which is retailed at £12.99 on Amazon. However, I do have a coupon code for you for 15% off which is "ASKB15PO". 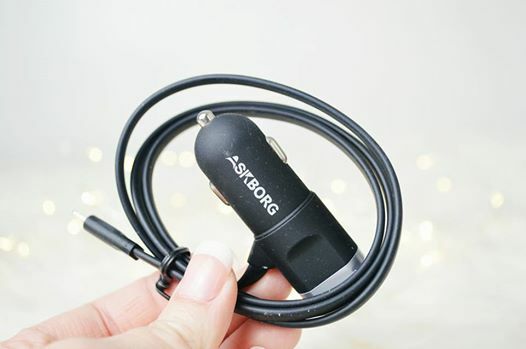 This car charger as you can see is easy to roll up and tidy away into your glove box or even into your bag if you want to take it everywhere with you. The cable isn't too long but I'd say it's the perfect length for my car as there isn't too much excess wire but I'm still able to charge my phone whilst it is in a phone holder on my window. 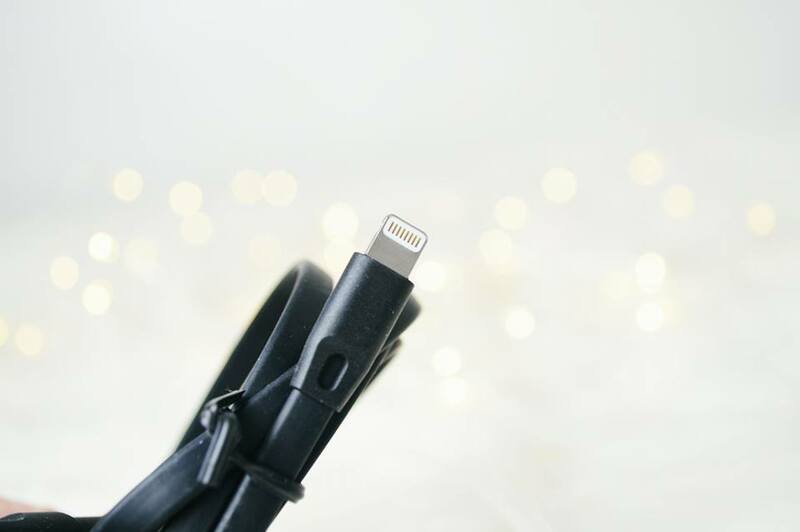 As you can see the charger also has the USB port, meaning if you want to charge lets say, an android phone which uses the standard smart phone cable, or even if you wanted to charge a satnav, then you would be able to do so whilst charging your phone! You do not have to wait for one to finish charging so you can charge the next thing. I personally use the cable for my ipod (for music) and then I'll use the USB port for my phone wire as I use a standard smart phone end. The wire isn't one of those grotty wires you can purchase off Ebay for a couple of pounds. It's genuine and works with all Apple products so you don't have to worry about a notification popping up on your screen saying it's not compatible with your phone! Having this type of phone car charger makes it so much easier to store and tidy away the wires as one of them is already connected; you also don't have to worry about losing it either! It's a product which every driver needs. If you're looking to buy one of these, don't forget to use the coupon code "ASKB15PO" here for 15% off.